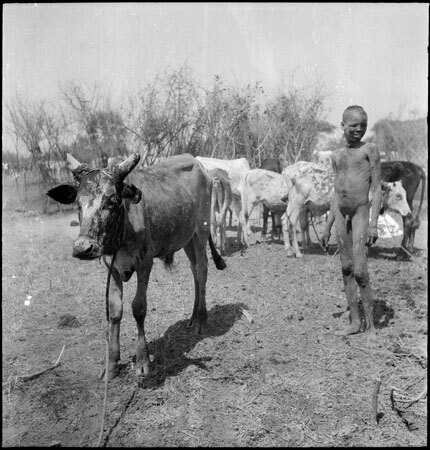 A Dinka boy at a cattle camp, standing next to a young ox which shows signs of its horns being trained, and may have just been bled. Morton, Chris. "Dinka boy at cattle camp" Southern Sudan Project (in development). 03 Jan. 2006. Pitt Rivers Museum. <http://southernsudan.prm.ox.ac.uk/details/2005.51.123.1/>.